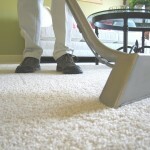 Natural carpets or natural floorcoverings are made with no man-made fibres in them, instead using environmentally friendly resources such as plant fibres. Trends have made the materials of sisal, seagrass, wool, jute, and coir an increasingly popular sustainable and durable carpet choice for homes and commercial premises alike. Each of these materials have their own properties and suitable uses, so we’ve listed some of the features and top uses for each below. Sisal is made from the fibres of the plant Agave Sisalana found in a number of countries, including China, Brazil and many in East Africa. It is an extremely durable and hard wearing material, and can be dyed to produce a wide range of stylish looks. Sisal is perfect for natural carpets anywhere around the home, although rooms with high moisture levels – bathrooms and kitchens – should be avoided as shrinkage can occur. Commercial properties – offices, hotels, reception areas. Seagrass is made from fibres of the grass which are spun into a yarn and used for the carpet. This natural material tends to be a harder texture in comparison to other natural alternatives, and is not suitable to dyeing – all seagrass patterns and weaves are the same, natural colouring. Seagrass presents a highly aesthetic and stylish look for many uses, and its durable texture means it’s a perfect natural carpet for a busy home or premises. 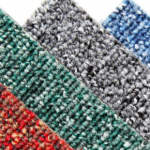 Wool is a versatile and extremely popular natural carpet option, and can be made in a range of textures, colours and weaves to suit your exact requirements. Wool is naturally resilient to wear and tear, and is easy to maintain and keep looking clean. Jute’s varying natural shades and soft, silky texture makes it an ideal natural flooring for the home or commercial areas where a luxurious look is the aim. Coir is obtained from the husk of the coconut, producing a hard-wearing natural fibre that can be used in both domestic and commercial settings. Coir is a natural material that is not usually dyed, so most weaves have a similar colouring provided they are not exposed to direct sunlight. Coir in natural carpets is not ideal for environments with high moisture levels as it is prone to expanding and shrinkage when it dries. Here at Brent Carpets, we provide natural carpets and natural flooring options throughout the Central London, Edgware, and Harrow areas. 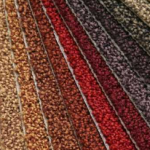 Our wide selection of options in a variety of colours, weaves and styles mean we’re sure to have a flooring type to suit you. For more information, contact us today and our team will be happy to help.